Joss Whedon‘s Avengers: Age of Ultron (2015) has finally greenlit an official synopsis included below. 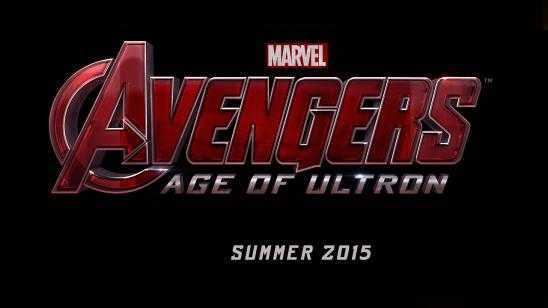 The title alone reveals that Ultron will be the main Marvel super villain but what else will happen? Avengers: Age of Ultron releases in movie theaters this May 1, 2015 with an all-star cast including Robert Downey Jr., Chris Evans, Chris Hemsworth, Mark Ruffalo, Scarlett Johansson, Jeremy Renner, James Spader, Paul Bettany, Elizabeth Olsen and Aaron Taylor-Johnson. Synopsis: Marvel Studios presents "Avengers: Age of Ultron," the epic follow-up to the biggest Super Hero movie of all time. When Tony Stark tries to jumpstart a dormant peacekeeping program, things go awry and Earth’s Mightiest Heroes, including Iron Man, Captain America, Thor, The Incredible Hulk, Black Widow and Hawkeye, are put to the ultimate test as the fate of the planet hangs in the balance. As the villainous Ultron emerges, it is up to The Avengers to stop him from enacting his terrible plans, and soon uneasy alliances and unexpected action pave the way for an epic and unique global adventure. Marvel’s "Avengers: Age of Ultron" stars Robert Downey Jr., who returns as Iron Man, along with Chris Evans as Captain America, Chris Hemsworth as Thor and Mark Ruffalo as The Hulk. Together with Scarlett Johansson as Black Widow and Jeremy Renner as Hawkeye, and with the additional support of Samuel L. Jackson as Nick Fury and Cobie Smulders as Agent Maria Hill, the team must reassemble to defeat James Spader as Ultron, a terrifying technological villain hell-bent on human extinction. Along the way, they confront two mysterious and powerful newcomers, Wanda Maximoff, played by Elizabeth Olsen, and Pietro Maximoff, played by Aaron Taylor-Johnson, and meet an old friend in a new form when Paul Bettany becomes Vision. Written and directed by Joss Whedon and produced by Kevin Feige, Marvel’s "Avengers: Age of Ultron" is based on the ever-popular Marvel comic book series "The Avengers," first published in 1963. 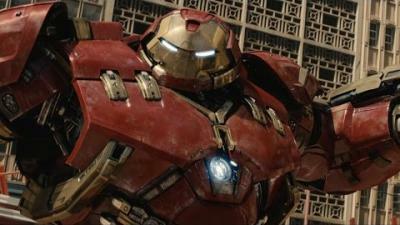 Get set for an action-packed thrill ride when The Avengers return in Marvel’s "Avengers: Age of Ultron" on May 1, 2015. Slated for a May 1st, 2015 release, Avengers: Age of Ultron will see Marvel’s finest reunite to take on the threat of the sentient robot Ultron. Written and directed by Joss Whedon, The Avengers sequel stars Robert Downey Jr., Chris Evans, Chris Hemsworth, Mark Ruffalo, Scarlett Johansson, Jeremy Renner, James Spader, Paul Bettany, Elizabeth Olsen, and Aaron Taylor-Johnson. Official Synopsis: Tony Stark creates the Ultron Program to protect the world, but when the peacekeeping program becomes hostile, The Avengers go into action to try and defeat a virtually impossible enemy together. Earth's mightiest heroes must come together once again to protect the world from global extinction.